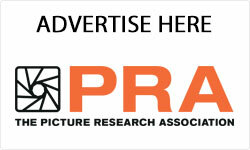 The Picture Research Association Founded in 1977, The Picture Research Association (PRA) is a professional organisation for picture researchers, picture editors, picture managers and anyone specifically involved in the research, management and supply of visual material to the media industry. Formed over 30 years ago as a professional trade association to assist image buyers in their tasks and raise the profile of this vital skill. These skills are endorsed by Creative Skillset, the industry body which supports skills and training for people and businesses to ensure the UK creative industries maintain their world class position. To promote the recognition of picture research management, editing, picture buying and supplying as a profession. To encourage anyone needing images for commercial use to engage a member of the PRA to obtain them, thus ensuring that professional standards are maintained. To advise those specifically wishing to embark on a profession in the research and supply of pictures, for all types of visual media. To co-operate and exchange information with organisations in similar fields of interest world-wide. Why use a professional picture researcher? It is our business to find the right image for your project, no matter how obscure the request. Wherever that image may hide, if it exists, we promise to uncover it. Whether by searching the internet or delving into a dusty shoebox or file full of photographs, we will make it our mission to find the picture you require for your projects. Use our expertise to make your projects run more smoothly. There is no denying the impact of a strong image. It leaves a lasting imprint on the mind which enhances considerably one’s understanding of the context in which it is found. Imagine: books furnished only with type, newspapers without photographs, documentary films bare of stills, exhibitions relying entirely on objects advertisements without any imagery. What a dreadfully barren world that would be! In fact the opposite is true today. Sources of imagery multiply year on year, new libraries, new photographers, new archives emerge and some old favourites merging. Picture sources are changing all the time. How on earth to search successfully for the right picture in the right place. It is the business of a professional picture researcher to find the right image for your project.